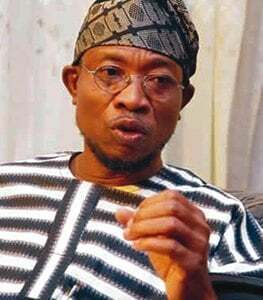 Governor Rauf Aregbesola of Osun State has given assurance to school teachers in the state that his administration is ready to distribute an electronic device known as Opon Imo to them. The governor said this on Thursday in Ede during an interactive forum between the governor and the people in the constituency. He said the distribution of the device to pupils in public schools in the state had started impacting positively on their academic performance. He appealed to parents and teachers in the state to assist in monitoring the use of the devices previously given to some pupils by the state government. He said some people had been criticising the inclusion of Ifa knowledge in Opon Imo but advised parents to ask their children to read either the Holy Bible or Koran to them from the device, depending on their religious beliefs. Aregbesola, who said his administration was determined to transform education in the state, added that the device would assist in boosting saving and learning among the pupils. The governor, who assured the people that the school reclassification policy of his administration was aimed at further transforming the education sector, said that no place would be without a school. Previous Post: Check Your 2013/2014 Admission Status Here Now!